'Here comes the Bride' wedding text stamp, ideal for using with those lovely stamps of brides, the one shown here is from Penny Black. 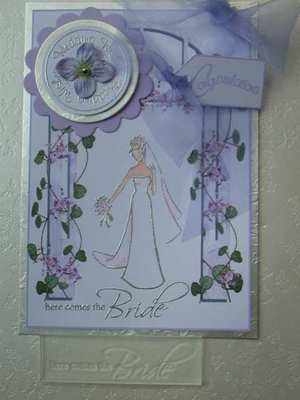 Also used here is the Wedding Wishes circle stamp, the Congratulations tag stamp and the Wedding Arches download kit. Stamped area approx 2 3/8" x 5/8" - 6cm x 1.5cm. See also 'here come the Brides'. 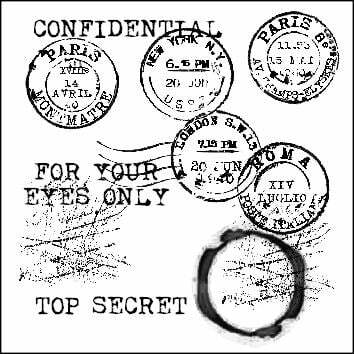 This is a clear unmounted photopolymer stamp, you will need an acrylic block to use it.